A great allergist can make a significant difference in the life of someone suffering from chronic allergy/asthma symptoms. The help of an allergist is critical to managing these diseases and reducing or eliminating the occurrence of painful, debilitating symptoms. It’s important to choose a doctor with the right balance of expertise and personality. The doctor should not only demonstrate excellent clinical judgment, but also have a compassionate and pleasant demeanor that the patient finds soothing during tough bouts with their allergy symptoms. 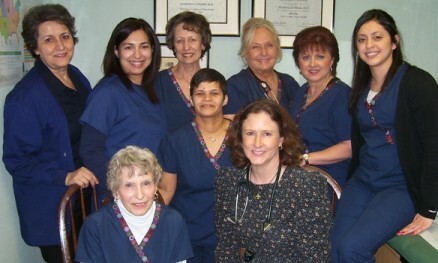 Dr. Barbara Baxter, a respected allergist in Dallas, is that kind of physician. With more than three decades of experience, Dr. Baxter has worked on many complex cases over the years. She hasn’t “seen it all,” but she’s certainly come close. In addition to maintaining her allergy, asthma and immunology practice, she also teaches future doctors through her post as a Clinical Associate Professor at UT Southwestern Medical College. Dr. Baxter uses sophisticated testing equipment that is quick, thorough and reliable. Through her involvement with professional allergy organizations, she is able to stay abreast of recent developments in her field and offer her patients access to the latest technological advances. A cornerstone of Dr. Baxter’s approach to treatment is to provide personalized care to every individual. She organizes her schedule so that she is able to spend a lot of time with every patient, getting to know his or her medical history, symptoms and lifestyle. Dr. Baxter’s patients are never rushed or hurried through an appointment. She takes as much time as necessary to find the best treatment option and make suggestions for minimizing/eliminating symptoms. Dr. Baxter is actively involved in several ongoing trials. This provides her patients with the opportunity to participate in ongoing research on a variety of health conditions, including emphysema, irritable bowel syndrome, diabetes, food allergies and adult/pediatric asthma. Learn more about Dr. Baxter’s involvement with clinical trials. Dr. Baxter believes in a holistic approach to health and wellness. While someone may initially seek her out for an allergy- or asthma-related issue, her expertise is not limited to those areas. For example, she is actively engaged in the fight against obesity and offers personalized coaching services and the Ideal Protein Diet. Dr. Baxter is also a certified hypnotherapist who can help her patients eat better, sleep better, feel less anxious and achieve other wellness goals through hypnotherapy. Learn more about Dr. Baxter’s wellness philosophy. If you’d like to learn more about Dr. Baxter or the services she offers, please call our practice today at (214) 363-8653. A member of our friendly team would be happy to answer your questions over the phone or schedule an appointment for you to meet the doctor.